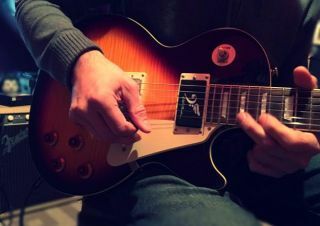 Some easily digestible tips about what modes are, how best to learn them and how to use them effectively when improvising. Ever get the feeling you're putting too much emphasis on your lead playing and ignoring your rhythm playing? It happens a lot. Nine tips for guitarists who want to improve their songwriting. Steve "Samurai Guitarist" Onotera has posted another helpful video, and you might want to check it out. We’ve shown you guitars made out of frying pans, motorcycle parts, shovels, shotguns and more.